Course Website: Official Website - Visit The Olde Farm's official website by clicking on the link provided. 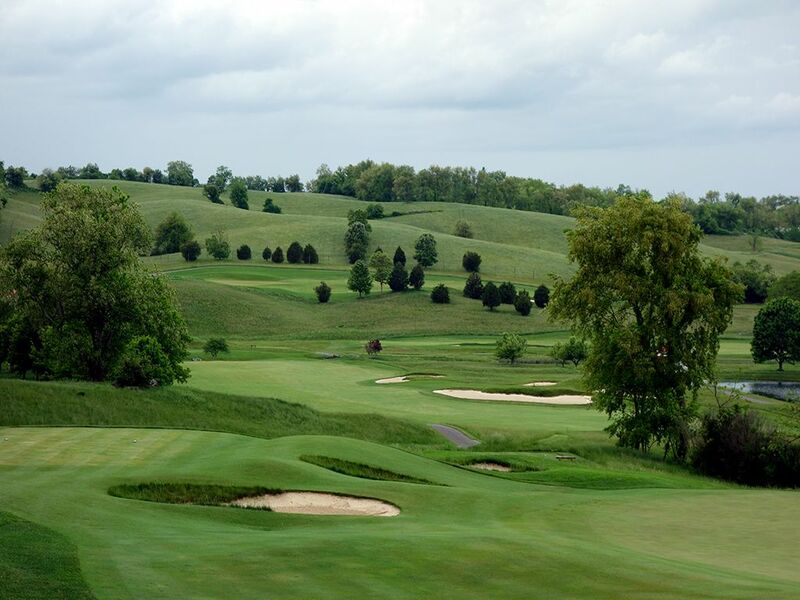 Accolades: Ranked 3rd in Virginia on Golf Course Gurus' Best in State list. 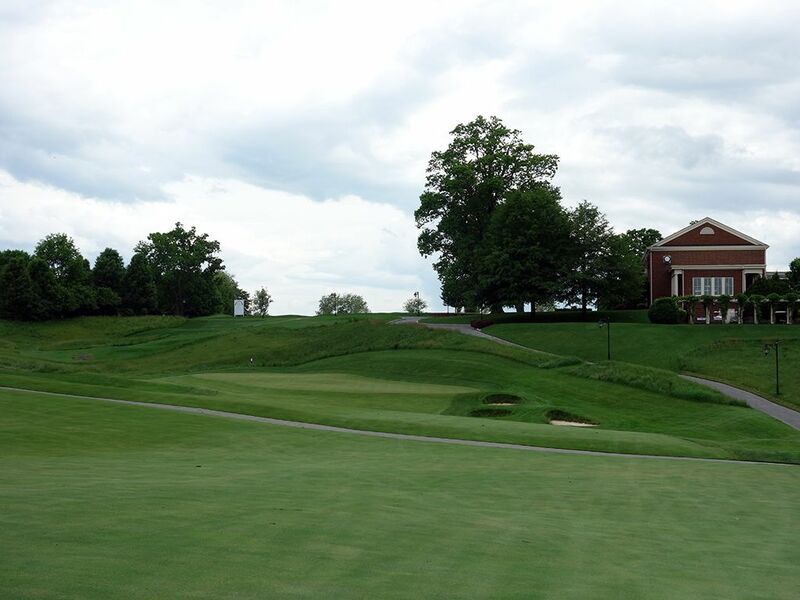 What to Expect: Olde Farm is a private club located in the countryside northeast of Bristol on the Virginia side of the town that is famously split between Tennessee and the Old Dominion state. 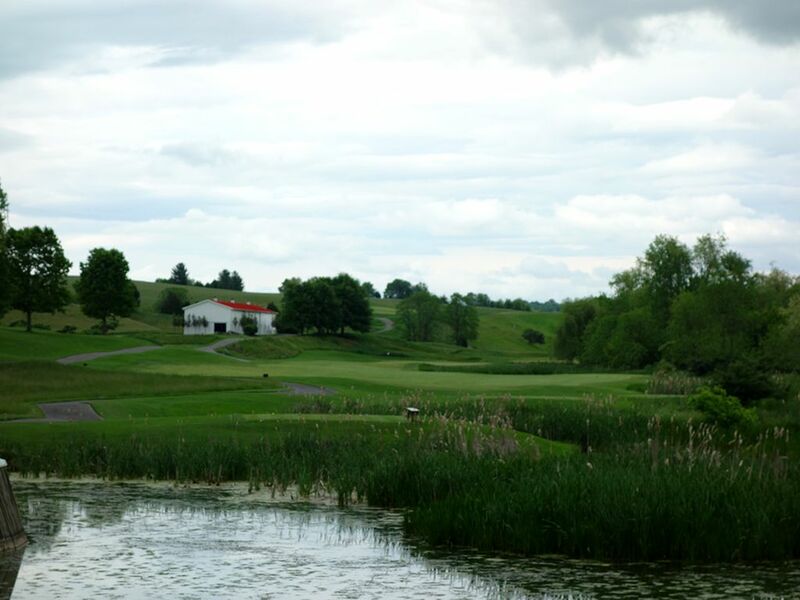 The club has a distinct farm atmosphere to it from the colonial plantation style clubhouse, to the old tobacco barn that has been converted to a huge snack shack, to the rolling hills and views. 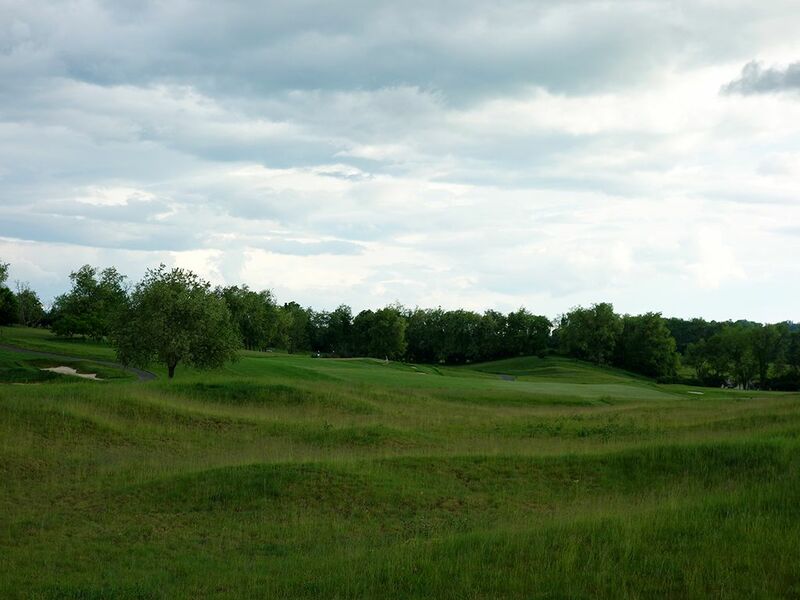 The Bobby Weed design features an excellent variety of hole lengths, shapes, and options throughout which keep players engaged in the round from the first tee to the final putt. The property really is pleasant and almost relaxing with rolling hills composing the surroundings that look like something from an early American rural painting. 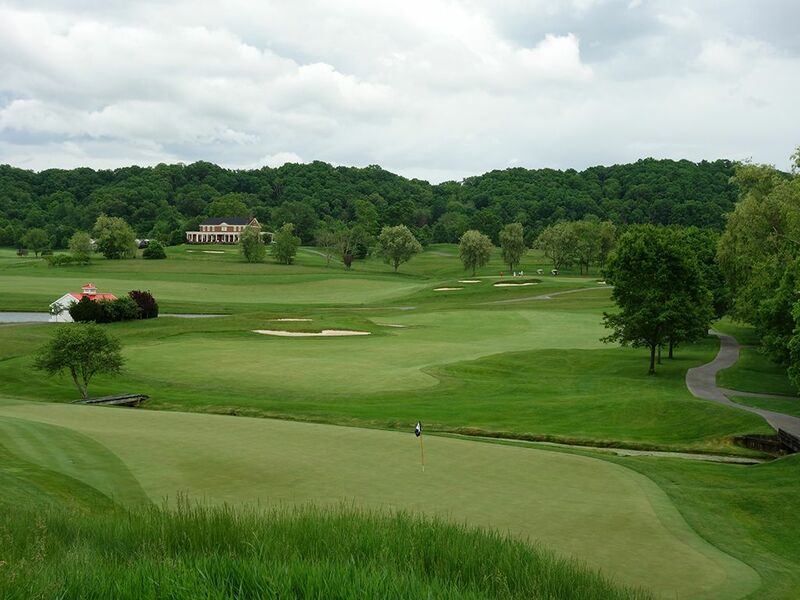 The course features bentgrass tees, fairways, and greens which are kept firm and fast which adds to the enjoyment, even for a non-links track. 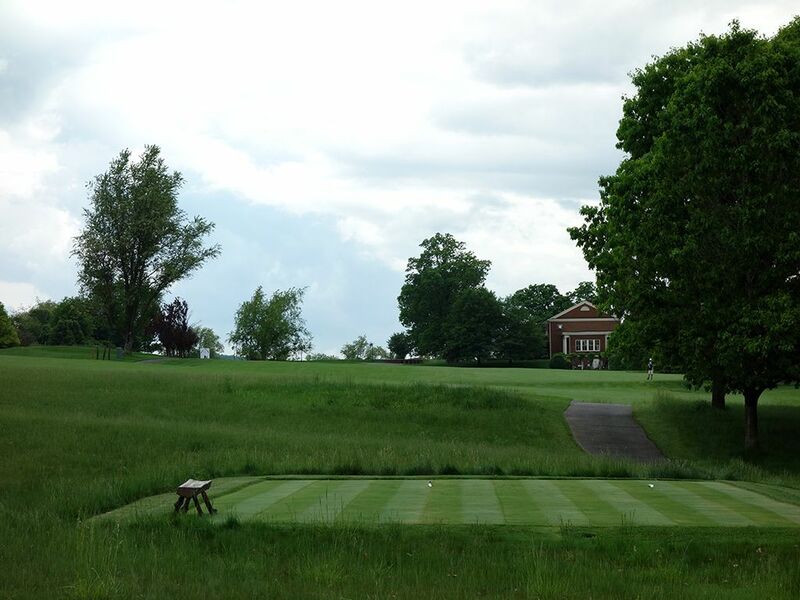 Olde Farm also enjoys a good challenge but never feels punishing and quickly becomes the type of course you'd be happy to play day after day. 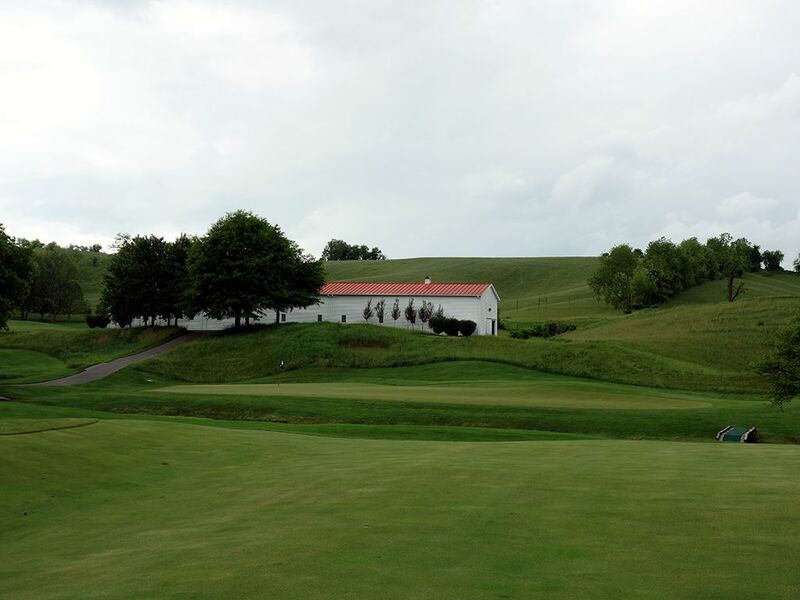 A feature that always causes a buzz among golfers is the famed "Long Barn" which is a converted barn that you can still smell the tobacco in that use to hang from the walls. 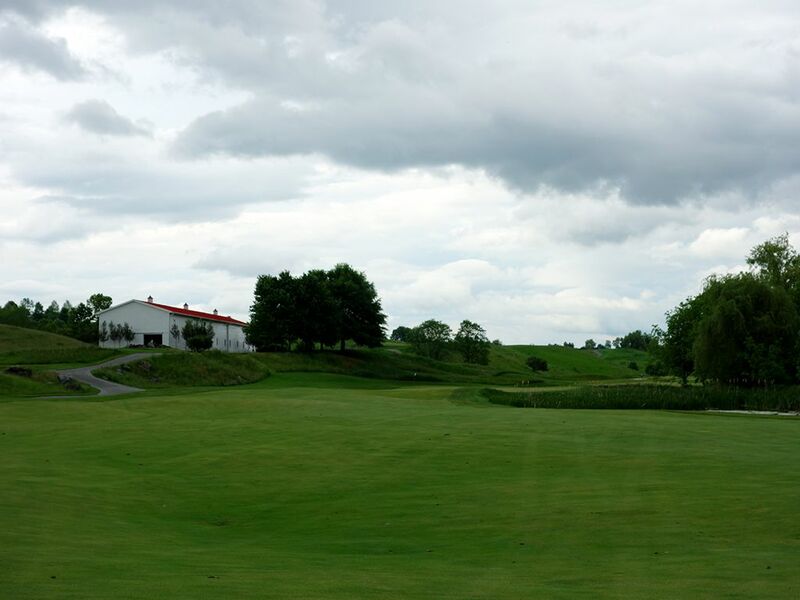 Located after the par three 6th hole, the Long Barn is loaded with snacks, beverages, driving net to hit in while its raining outside, a green to roll putts on, and card tables. Your fees for the day cover your use of the Long Barn as well as paying for the caddie that will accompany you on your round whether you walk or ride in a cart. As a side note, the club takes great pride in their fundraising efforts for The American Legends program which results in donating millions of dollars to the Mountain Mission School which services over 200 kids. Signature Hole: 15th Hole – 165 Yard Par 3 – A 60 foot drop greets players on the 15th tee as they eye down their target below and calculate how much the descent will take off the yardage. The back and sides are hugged by a marsh while a collection of five bunkers front the putting surface creating a scenario where any miss is a bad miss. Fortunately players will have a club in their hand that should create confidence as they take dead aim at the flag. This is a picturesque hole can can yield birdies as easily as it does bogies, so stick it close and throw a deuce on the card. Best Par 3: 12th Hole – 208 Yards – Seven bunkers flank the right side of this green with some of the deepest sand hazards on the course being found right next to the putting surface. The green is build into a small hill that can give you a friendly kick onto the putting grass if you accidentally pull it a bit left. The entire green slopes from left to right so you are wise to use the terrain to your advantage and work the ball on the ground rather than going straight at the flag. Best Par 4: 13th Hole – 490 Yards – The lengthy 13th known as "Longview" is a top notch two-shotter with an exhilarating tee shot followed by a testing approach shot. An elevated view of the hole and surrounding property is afforded from one of the highest locations on the property as players prepare to hit their tee shot to the fairway resting 60 feet below. 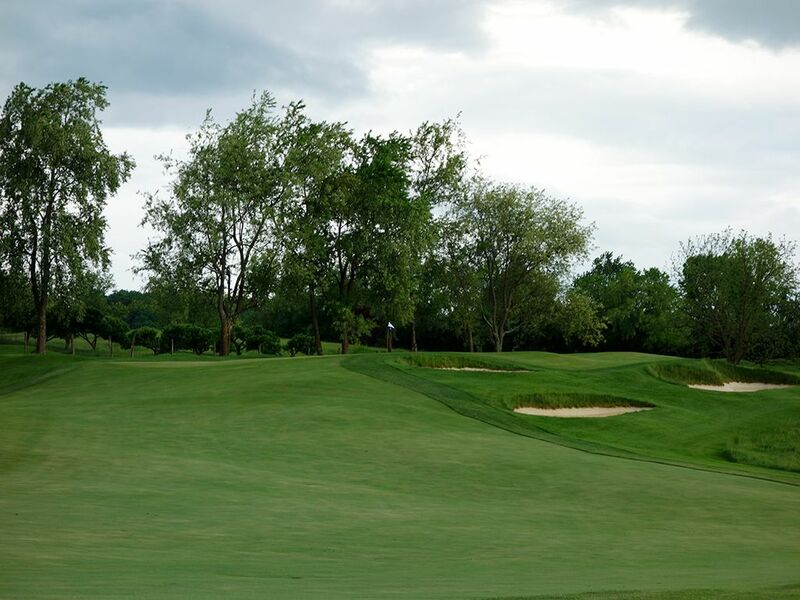 A collection of bunkers await on the right side of the fairway while a row of trees create the boundary on the left. 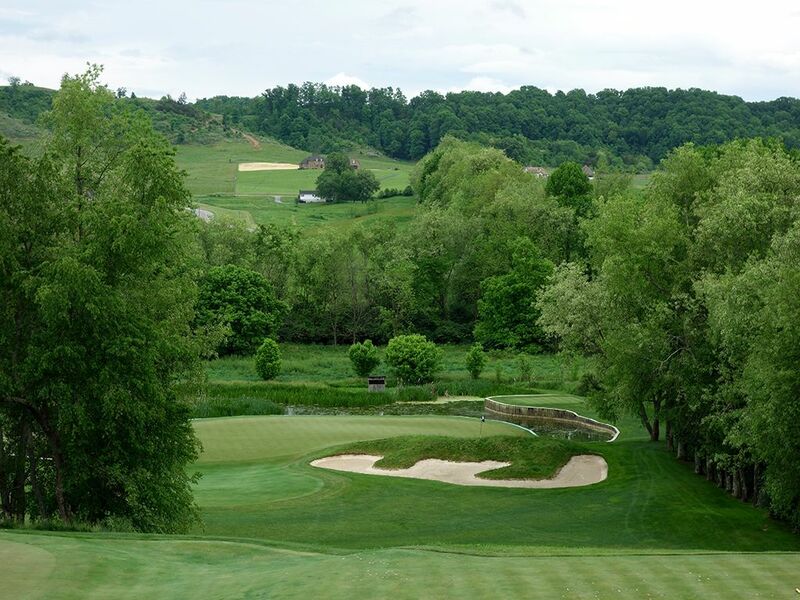 The approach shot plays over Sinking Creek which fronts the pie shaped green and leaves little forgiveness on the far right side that is one-third as deep as the left. Pin placements on this green can create an exciting scenario, especially in a match. 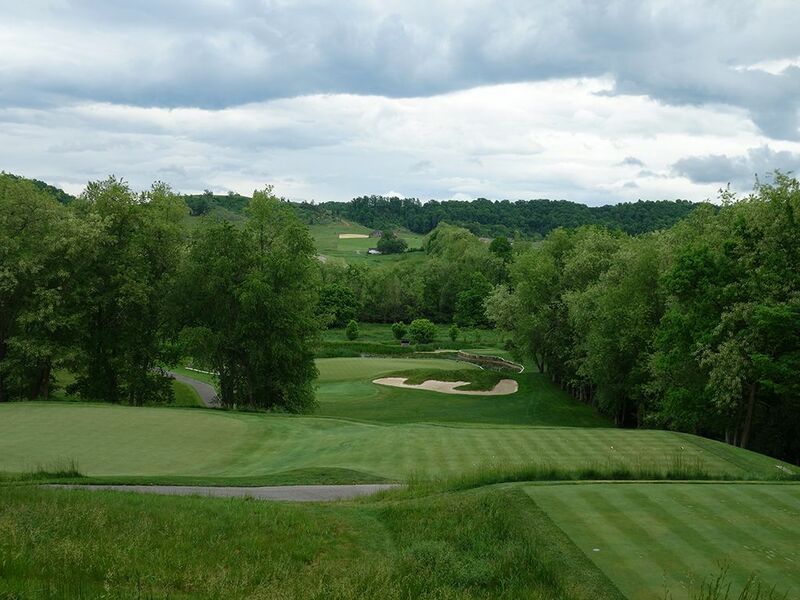 Best Par 5: 18th Hole – 550 Yards – The finishing hole at Olde Farm is a mid-length par five that can be reachable for longer hitters with one last chance at taking a stroke back from Old Man Par. The fairway is over 50 yards wide so players can feel free to let the big dog eat and swing away on their driver in hopes of getting in position to reach the green in two. The fairway tilts from left-to-right the entire length of the hole and a long fairway bunker flanks the right side, so Bobby Weed is begging you to keep it up the left on his final offering. The raised green features a false front on the left side and a trio of bunkers on the right, so hitting enough club to clear the front edge of the green is critical for success. Properly navigated, a nice reward awaits the players that disciplines himself to his strengths. 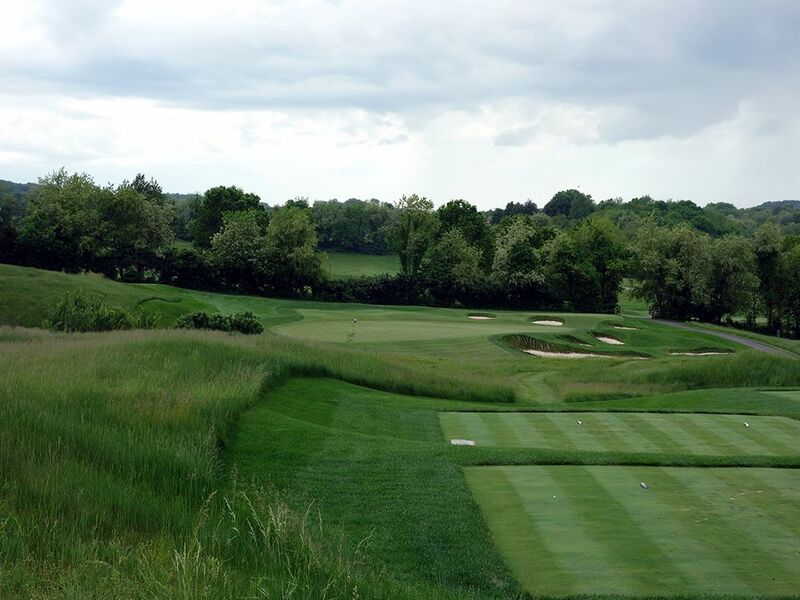 Birdie Time: 11th Hole – 498 Yard Par 5 – Anytime you find a sub-500 yard par five on the scorecard you should be licking your chops, and that is exactly what Olde Farm presents here. The tee shot is just enough uphill to create a semi-blind landing area and cast some doubt on players psyche, but rest easy knowing a nearly 50 yard fairway awaits you at the top. A generous opening to the green exists in front with a trio of small bunkers sitting right of the putting surface and only coming into play on approaches shots that sail plenty wide. As such, there should be little holding you back from attacking this green in two and setting yourself up for a birdie or potentially eagle opportunity. In all frankness, with the hole playing slightly downhill from the fairway to green and little trouble existing, this is a pretty easy hole. As a side note, both players in our twosome threw birdies on the scorecard and I like your chances of doing the same thing. Bogey Beware: 16th Hole – 461 Yard Par 4 – Named "Duck Blind" due to the water the runs the entire length of the right side, the tee shot is critical to your success in avoiding a bogey or worse here. At 461 yards, 3 wood is the shortest club most players would ever consider using especially since there isn't a bunker on the entire hole to contend with. But don't let the lack of sand fool you, this hole is tough as nails. The approach shot plays to a green that is tucked right next to the water without an ounce of forgiveness for balls that tail that way. 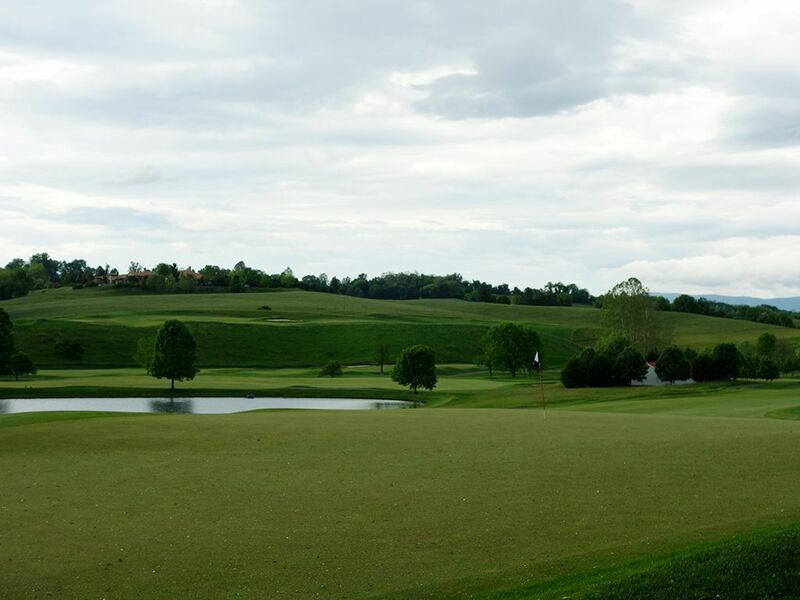 The wise play is left of the green where the neighboring hill will kick the ball towards the putting surface with a decent chance of rolling a putt on your next stroke. This is a strong par four late in the round that will test the nerves of even the best players.